Hello, old feeling I haven’t had since I finished reading Don DeLillo’s Underworld. It’s so satisfying to feel this completeness, this charmedness, this awe, this steak-and-potatoes fullness-without-stomach pain again. 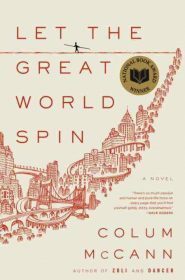 I’m thrilled to add Colum McCann’s Let the Great World Spin to my expertly curated list of Favorite Books of All Time. I barely stood a chance against this thing, considering the novel is built around a man’s walk on a highwire between the World Trade Center buildings in the mid-1970s. While McCann never refers to this character as Philippe Petit — a Frenchman who did this for realsies on Aug. 7, 1974 — it bears his essence. This stunt is one of the most fascinating moments in entertainment that has ever happened in public, according to me. I can’t sort through it in my brain. That a man would feel comfortable and practiced enough to believe he could walk this wire in the sky. If I think about it too hard I sweat a bit and my knees get a stomach ache. Also: What do you do after that? You’ve set a crazy goal, something that wouldn’t occur to occur to anyone else in the world. You achieve said goal. Then you eat a big dinner, have a few drinks, go to bed. What happens the next day? The next year? Can you ever enjoy a book, a movie, a stunt again? Anyway, the documentary “Man on a Wire” is pretty sweet. Petit goes through the nitty gritty of stealing his way onto the Tower and securing his wire. McCann’s novel isn’t so much about the walk as it is about people connected by the common thread of very different people witnessing the walk or not witnessing the walk. Sometimes the association is buried like a punch line. 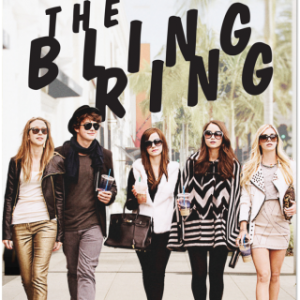 This story has a great cast. Corrigan, a native of Ireland, has given his life to God. He is living in a terrible highrise where he has an open door policy for the prostitutes who need a place to freshen up and pee through the course of the day. He takes a lickin’ from pimps, until finally he earns their respect. Meanwhile, he’s got a disease and a job caring for residents of a nursing home. His brother is fresh in town and he’s got the beginnings of a relationship with a nurse that is going to require a sacrifice: a) shaking off the chastity belt; b) dismissing this chance at love. Meanwhile, in the Upper East Side, a woman is preparing to host an interesting mix of women who have each lost at least one son in the Vietnam War. They’ve come together through an ad in a newspaper and meet weekly. They take turns showing the other women the boy’s bedroom, his photos, and telling his story. A half dozen voices get a chapter-length chance to speak in this story, and just one feels tacked on and unnecessary — though not enough to ruin the story. I tend to not be super into interconnected stories. They feel a little empty, the disruption of flow is distracting and I rarely feel the stories are consistent. The concept falls somewhere near short stories for me as something I have to REALLY be in the mood for. But this time it works so well. 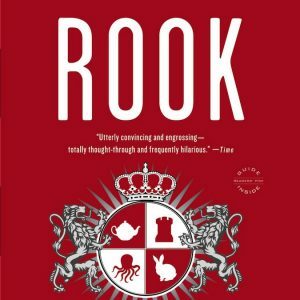 It’s so awesome and so even and so meaty and deep and expertly imagined.